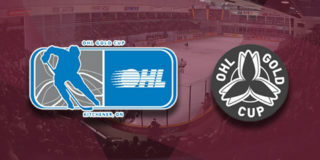 CLICK HERE for tickets to Thursday’s game against the Ottawa 67’s! You can also buy one ticket and get one free in person at the Memorial Centre Box Office! CLICK HERE for details! 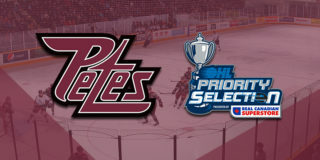 Thursday’s game will be the Petes’ 2,000th regular season home game. Friday’s game in Kingston will be Peterborough’s 4,000th regular season game. 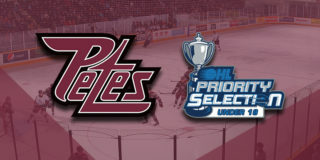 Despite missing the last game versus Ottawa (World Juniors), Liam Kirk leads the Petes with 3 goals and 1 assist in 3 games against the 67’s this season. Chris Paquette has the same stat line, but in 4 games. He is currently on a 3-game goal streak. Ottawa’s most (21) and fewest (4) shots in a third period were both against the Petes, on September 23 and December 9, respectively. 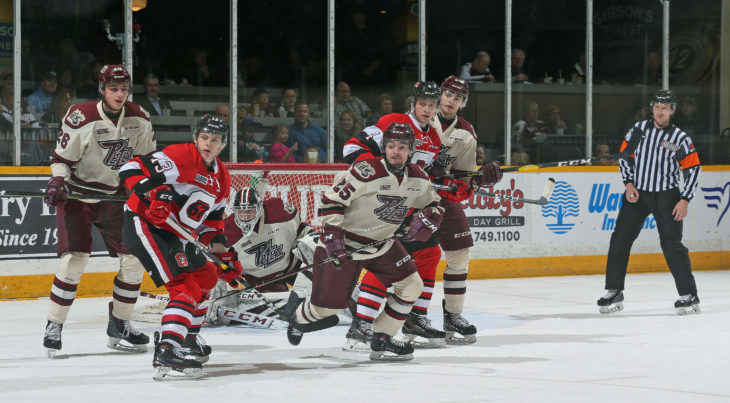 The Petes won September’s game 7-3, while Ottawa took December’s game 4-2. Nick Robertson has 1 goal, 5 assists, and 6 points in his last 3 games. 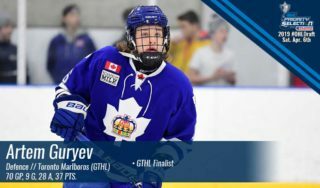 Ottawa has 4 players in the top 16 in league scoring: Felhaber (1st,p; 53-38–91), Keating (11th; 17-55–52), Maksimovich (12th; 29-40–69), and Chiodo (16th; 22-40–62). Felhaber leads in goals, while Keating leads in assists. 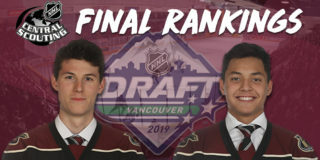 Peterborough native Will Cranley is expected to dress for the 67’s Thursday night as net minder Michael DiPietro has been recalled by the Vancouver Canucks.